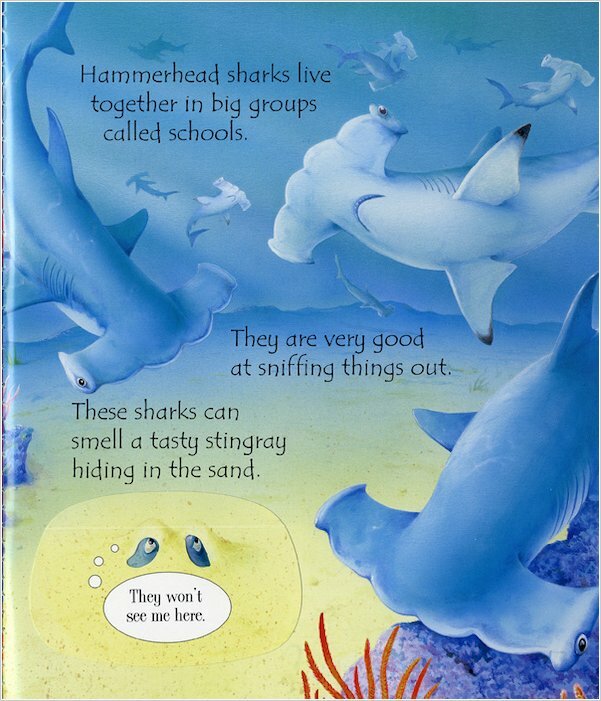 A bold and vivid flap book full of surprises. 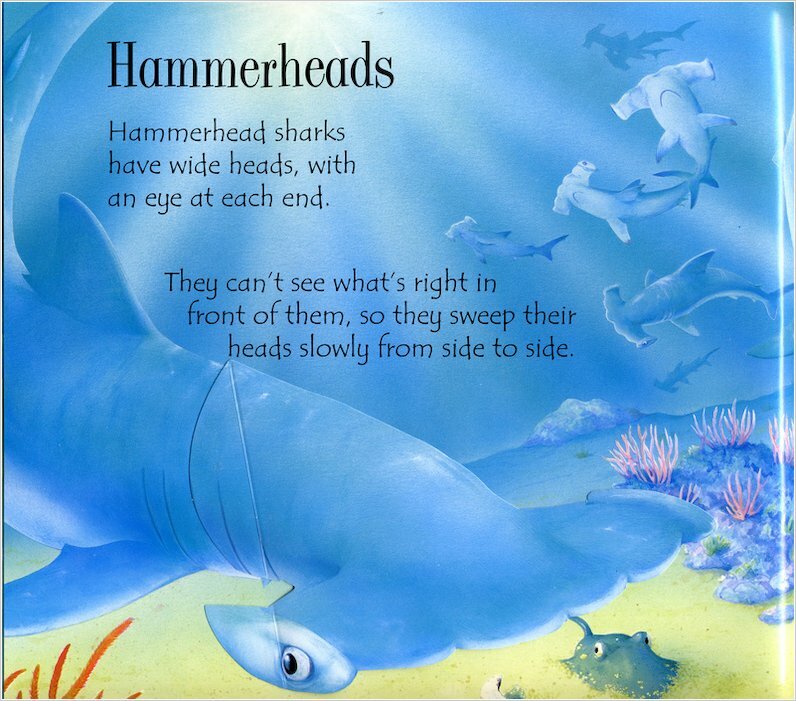 Each of the sharks has a snappy secret – but can you find it by lifting up the flaps? 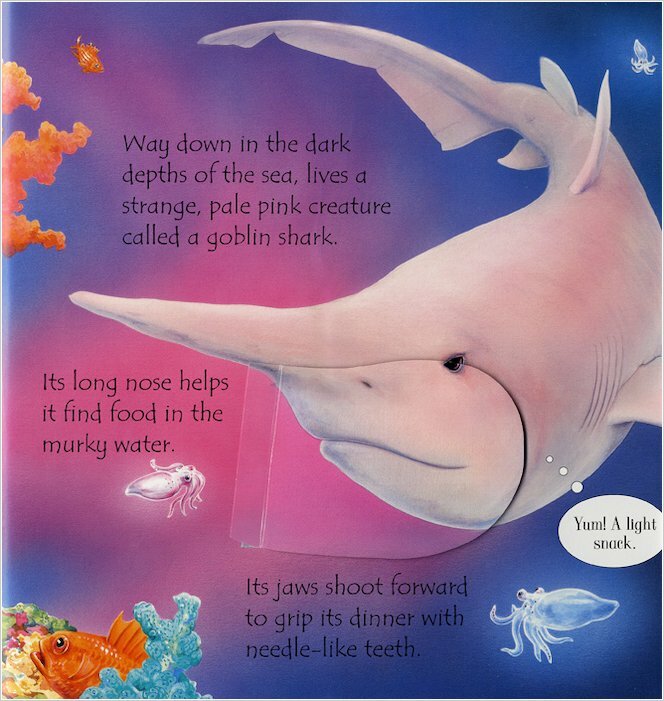 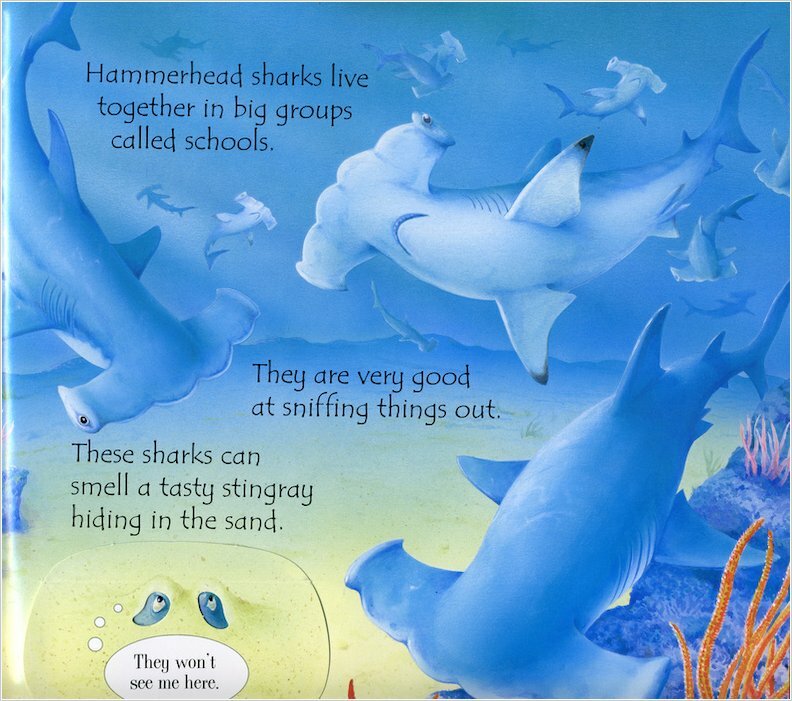 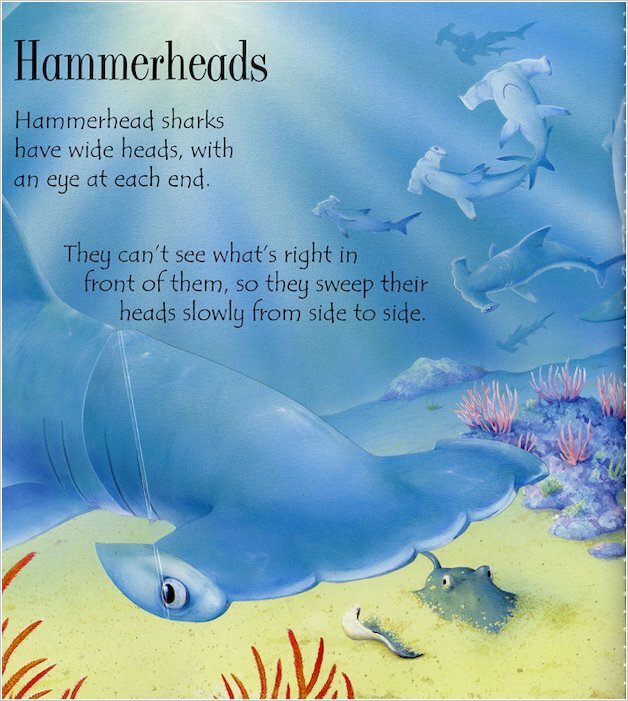 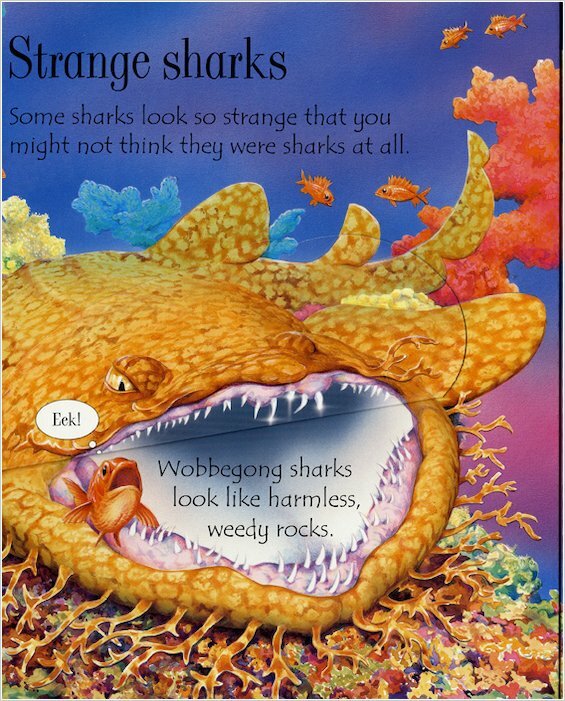 Full of bite-sized facts and deep blue ocean scenes, this gorgeous book is split into simple sections including hungry hunters, baby sharks, whale sharks, hammerheads, speedy sharks and strange sharks. 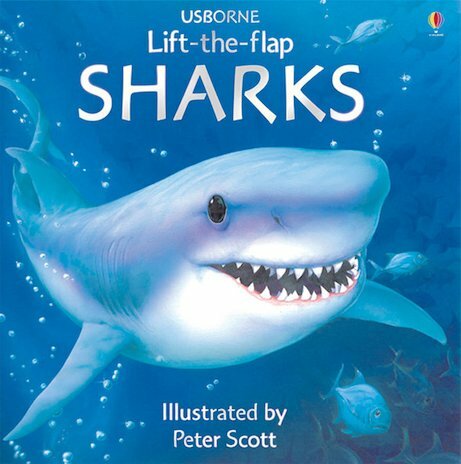 With a great balance of facts, lifting flaps and illustrations, plus shark pictures which are a teeny bit scary but also cute as well, this is a beautiful first information book to get little ones excited about nature.